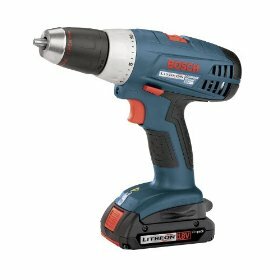 Bosch cordless screw guns are one of the top selling products on the power tools market today. They have a combination of innovative features, compact size, and well balanced design. Whether you are looking for a drywall screw gun, high torque driver, or a general purpose screw gun, you can choose one according to your needs easily from the vast collection of cordless screw guns from Bosch. One of the distinct advantages of Bosch cordless screw guns is their size. They are compactly designed and they do not take up a lot of storage space. They are lightweight and easy to carry. In fact, some reviewers say that they are lighter than most other screw guns in their class. Bosch screw guns are available in a number of different models. Let us now take a look at some of the most prominent features of these products.
.	Inbuilt LED light to illuminate the work space.
.	Two speed range for different types of drilling and driving works.
. Magnetic universal big holder for secure locking.
.	High quality, long lasting Litheon batteries and a super quick charger.
. Unique design which improves maneuverability and reduces user fatigue.
.	Ratcheting single sleeve chuck which allows one handed bit changes.
.	20 position clutch (25 position clutch in some models) which offers superior control.
.	Durashield housing which protects the tool and offers superior resistance to any external impacts.
. Variable speed trigger for increased maneuverability.
.	Soft grip handle which offers superior control and comfort.
.	High strength metal collar for enhanced durability. Bosch screw guns , like I already mentioned, are available in different models. You can choose a model depending on your budget, needs, and the kind of features available. One of the most important things that a lot of people have mentioned in their reviews is that these screw guns are considerably faster and offer more torque than most other screw guns in their class. They also say that Bosch cordless screw guns deliver the best power to weight ratio in their class. The high strength metal collar which is available in some models is something that is mentioned in a lot of reviews. It protects the tool and avoids damage to the maximum possible extent even if it is dropped on the chuck, which is very impressive. In fact, the manufacturer claims that some of these models, which come with the metal collar, can easily survive multiple one story drops. The external motor brushes in Bosch screw guns are very easy to replace. It can be done in just about two minutes. This is something that a lot of reviewers have mentioned because of an important reason - motor brushes tend to wear out quickly. If you can change them yourself, you can save a lot of money on service costs down the line. Since these brushes are easy to access and replace, you do not have to seek professional help and waste your money. The batteries can be recharged in about 30 minutes thanks to the super quick charger. In summary, I have to say that Bosch cordless screw guns are a good choice for people who are looking for reliable, powerful, and easy to use screw guns. With the kind of features available in these products, it has to be said that they offer good value for money. Return From Bosch Cordless Screw Guns Page to Home - Finishcarpentryhelp.com.